New C3 AIRCROSS strikes an original stance in this segment, with the muscular lines of its bonnet, which is both short and high. It conveys an impression of robust strength, with a light signature that attracts the eye at both front and rear. At the same time, it is non-aggressive, with its horizontal balance and generous contours. This new SUV features Citroën's graphic signature using two tiered lights. These lights showcase the expressive front end and a light signature reflecting the identity of the brand new models. At the rear, the strong shoulders of the C3 AIRCROSS underline its width and strength of character. 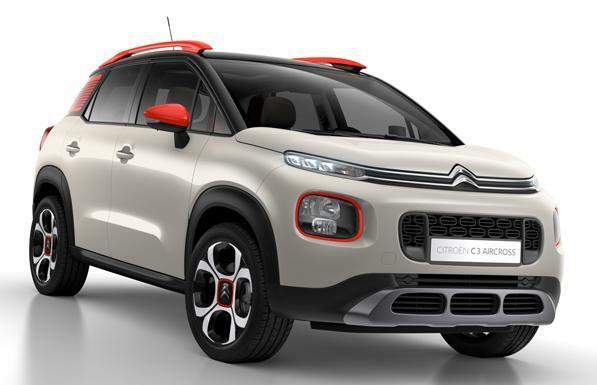 The 3D-effect rear lights bear a familiar resemblance with New C3 and C-Aircross concept car. A true SUV, New C3 AIRCROSS features wheel arches with extended wings and self-coloured lower sill panels for protection from minor impacts. With eight body colours, three roof colours and four Colour Packs, New Citroën C3 AIRCROSS adapts to your personal taste. 85 combinations are available! Nothing has been left to chance. The customisation concept extends to every detail: the quarterlights with their shutter effect and the roof bars add to the touches of colour provided by the coloured door mirrors, headlamp surrounds and wheel centre caps. The cabin can also be customised with a choice of distinctive interior ambiances. Five ambiances are available: standard, Metropolitan Grey, Urban Red, Hype Mistral and Hype Colorado. Each one has its own distinctive features, similar to those found in fashion or furnishings. You can shake up classic colours or soften contrasts, exactly as you wish. A wide range of wheel designs are also available, with a collection of stylised 16-inch wheel covers and 16" or 17" diamond-cut alloy wheels. Faithful to the Brand's DNA and our Citroën Advanced Comfort® programme, New C3 AIRCROSS benefits from all of Citroën's know-how and provides drivers and passengers with unrivalled travelling comfort. 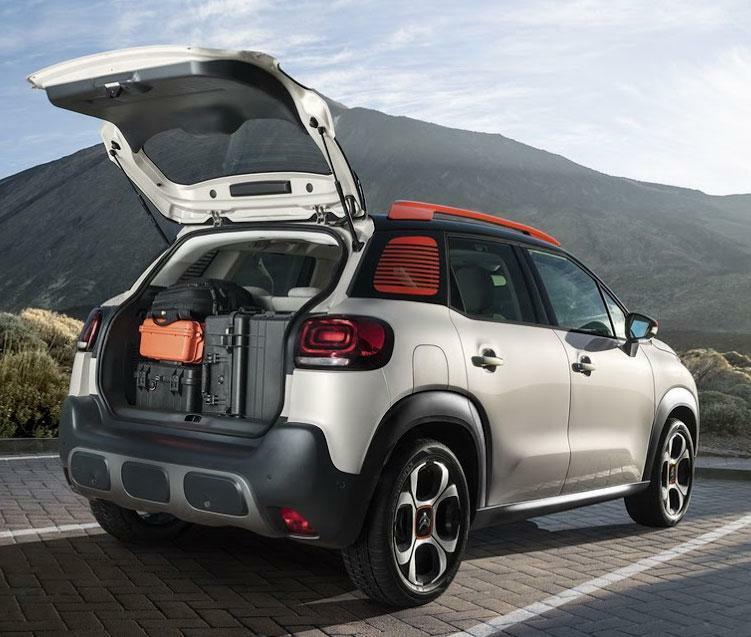 Limits on passenger luggage are a thing of the past, New C3 Aircross has the largest boot in the segment. Total load volume with the rear seats folded down is an impressive 1,289 litres. A further ingenious touch is the dual-height mobile boot floor which provides a flat floor when the rear seats are folded down. Dominate the road with this SUV! With its raised clearance, large wheels and Grip Control with Hill Descent Assist, New Citroën C3 AIRCROSS is ready to take on all types of terrain. With this feature you can modify the degree of traction to the terrain and control the vehicle speed when driving downhill, even on a steep slope. At ease in the city and on the open road, C3 AIRCROSS makes everyday life easier. In the city, Park Assist technology makes light work of parking manœuvres. With the head-up display, the driver can see key driving information continuously without taking their eyes off the road. Information is displayed in colour on a retractable panel in the driver's line of vision. 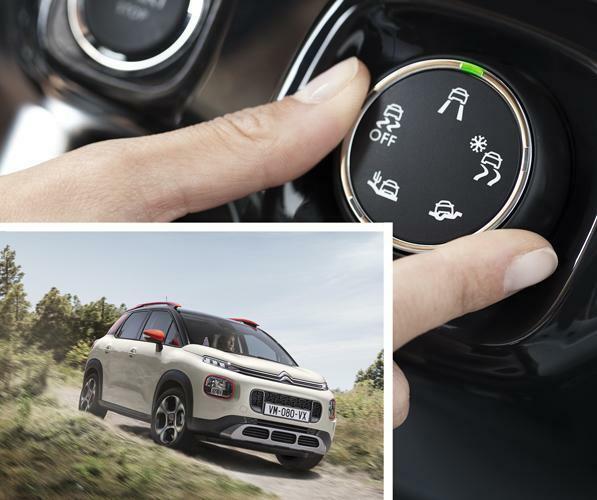 Equipped with Grip Control® for improved traction and special 16-inch and 17-inch mud-and-snow tyres, New C3 Aircross offers a highly modular drive and adapts to all types of roads, whatever the condition and surface. Safety is enhanced in all circumstances through five driving modes. Drivers can leave the Grip Control system on automatic via Standard mode or select between Sand, All-Road, Snow or ESP OFF modes. The multi-function camera on the upper part of the windscreen detects obstacles, such as vehicles driving in the same direction or at a halt. From 5 km/h to 85 km/h, the sensor works by the brakes automatically if a risk of collision is detected. This service (or emergency call) lets you call a specialised help desk in the event of a breakdown or accident. 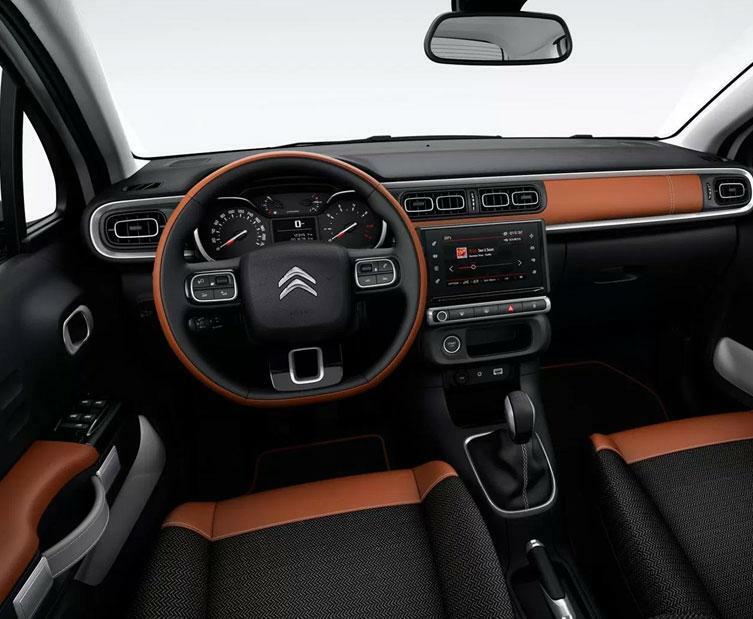 Combined with Citroën Connect Nav, Citroën Connect Box makes it possible to benefit from connected navigation without using its smartphone.